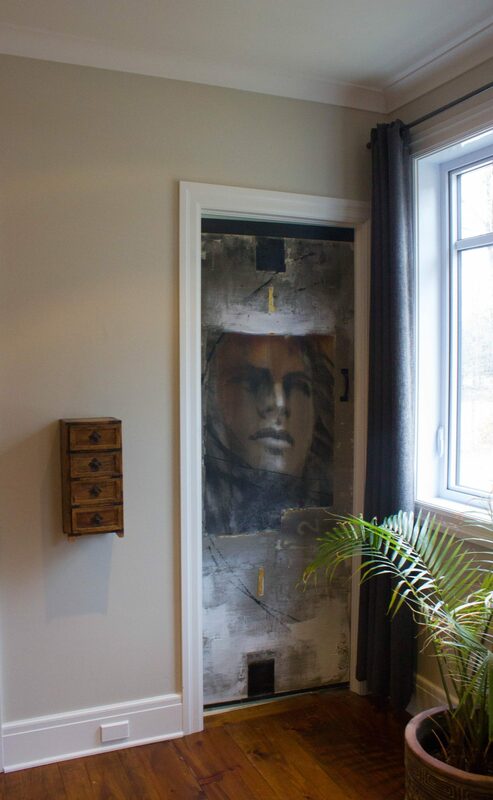 How often have I heard collectors tell me that there’s no space left on their walls to hang another painting! It’s true that windows take up more space that they used to and that wall surfaces are shrinking. This gave me idea of integrating my art to household features, such as doors. A “dressed up” door can add punch to any decor. Custom-made to fit any dimensions, needs, existing mood and style.